The Big Island is renowned for its coffee and coffee tasting but did you know that there are also tea plantations on Hawaii? Mauna Kea tea is a small and completely organic (no pesticides) tea plantation on the northern tip of the Big Island. You can stop by here to buy their tea and/or get a tour of their plantation. Emailing or calling ahead is recommended. Expect to pay between $20 and $30 per person (depending on group size, 2016 price). For this money you will receive a personal farm tour as well as tea tasting. Find out more and make your reservations at the Mauna Kea tea website. You can find the Mauna Kea tea plantation in Honokaa, close to Waipi’o valley. 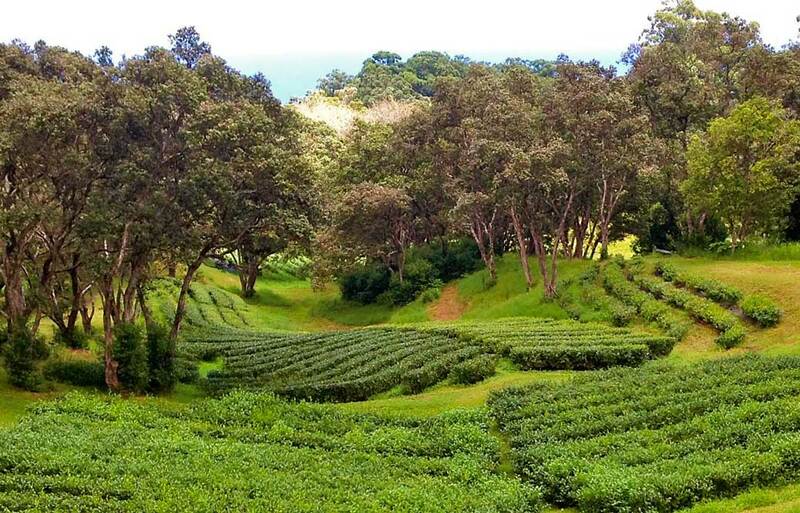 If you are interested in visiting this tea farm, you can squeeze in a visit when you are visiting Waipi’o valley, are picking up malasadas at Tex drive-in, or are making a scenic road trip on the Hamakua coast. There are two tea plantations close to Hilo that organize tastings on the Big Island. These are the Onomea Tea Company and Big Island tea. The Oneomea Tea Company is located ~7 miles north of Hilo. 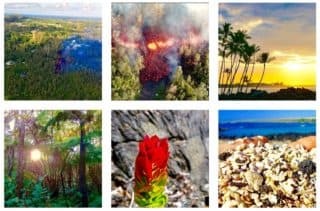 A visit to them can be perfectly combined with doing the Onomea Scenic drive. They offer tours and tastings which are available by reservation (try to contact them at least 1 or 2 days in advance of your visit). More information on their website. Big Island Tea is located in Mountain View, mid-way between Hilo and Volcano Village. 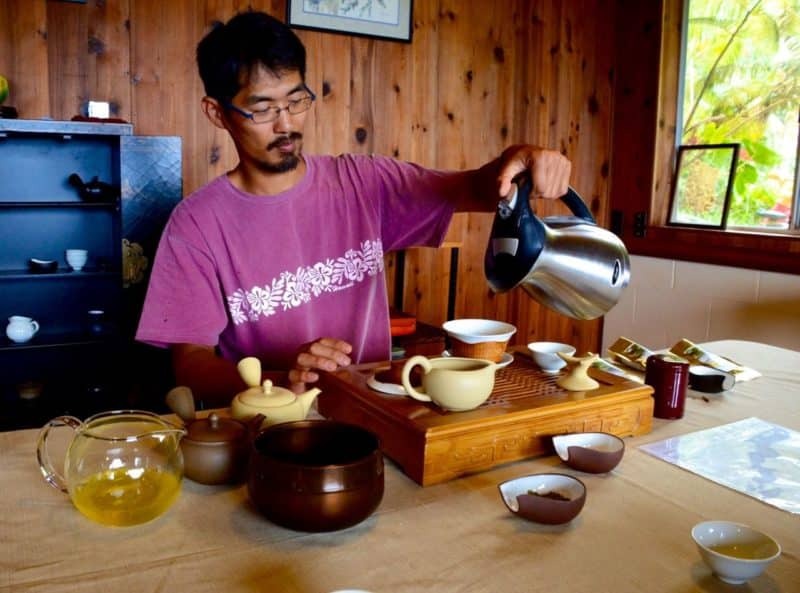 They organize tours of their farm and tea tasting, but reservations are necessary. See their website for details. Volcano Village is best known for its amazing rainforest and good access to the Hawaii Volcanoes National park, but did you know you can also visit a tea garden there? Tea Hawaii is a tea garden tucked away in the beautiful rainforests of the Kilauea summit. Eva Lee and Chiu Leong organize a 1 hour tour that takes you through their tea gardens which are integrated into the rain forest (agroforestry) and ends with a tea tasting. Tours are available by appointment. Find more details on the Tea Hawaii Website.